I came of age in the 80s. I am a child of the 80s. Sometimes I think the 80s were the best decade. 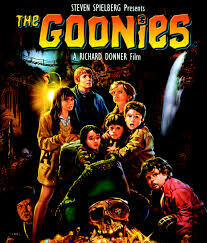 If the 80s were so rockin’ for me, then why have I never seen The Goonies? Yep, I am a Goonies virgin. And, to qualify, I think that The Goonies probably spoke more to the males of my generation. Just saying. The Goonies was this month’s Food ‘n Flix pick. Heather from girlichef is hosting. You can read her announcement post here. I had to do some research to see what all the hub-bub was about. I found a very informative and food-laden article at Bon Appetit. All the best food clips from the film can be found on Epicurious. 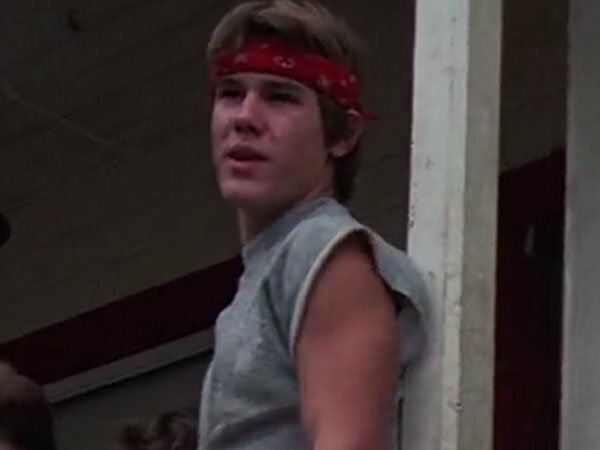 Honestly, folks, I did not get the appeal (other than a young Josh Brolin sporting a Lover Boy look). The Hubs fell asleep. 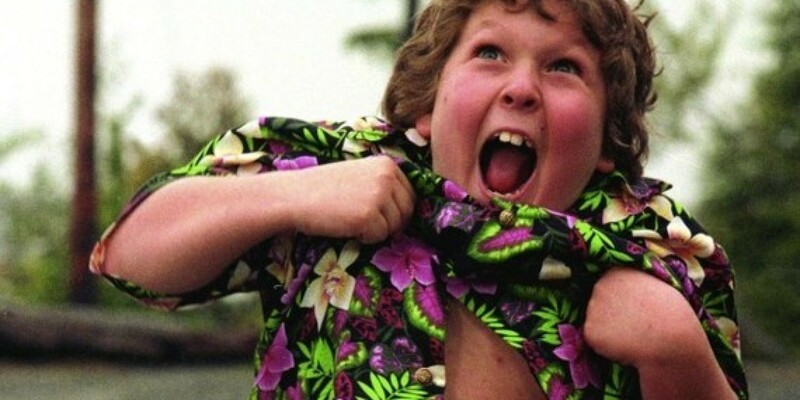 Food plays a roll in the film, especially where Chunk (the stereotypical fat kid) is concerned. He is either munching on chips, slurping down milkshakes, sniffing out pizza, or scooping ice cream into his mouth. I, however, focused on the product placement in the film. Here you go, Chunk. 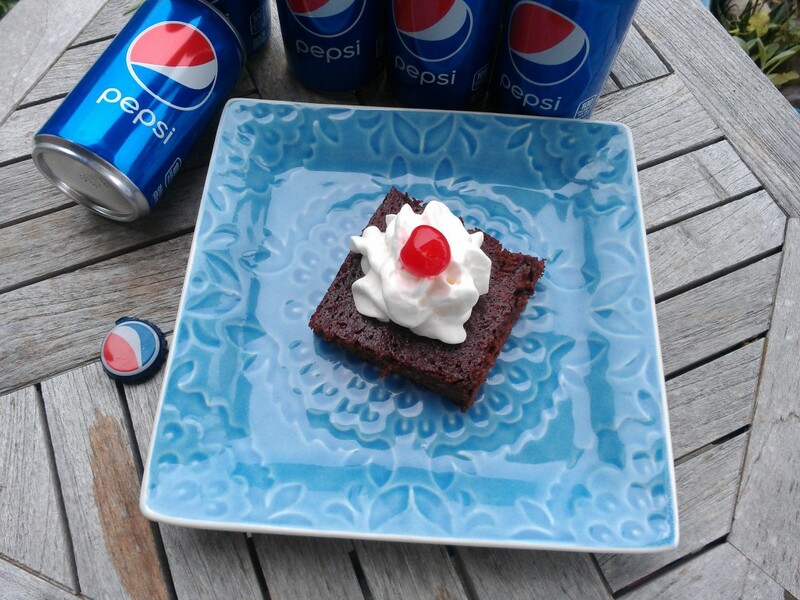 Enjoy these ultra sugary Pepsi brownies. Adjust oven rack to middle position and preheat oven to 350°F. Prepare a 9” x 13” baking pan with cooking spray. In a large bowl, whisk together flour, sugar, cocoa, salt, and baking powder until combined. Add Pepsi, a little at a time because it will foam, until incorporated and batter forms. Pour batter into pan and bake until a tester inserted into the middle of the pan comes out clean, about 30 minutes. Top will be slightly sticky. Let cool completely in pan then cut into squares. Will there be a sequel? Only time will tell. Enjoy Memorial Day Weekend! These brownies are super easy and would be great to whip up for the weekend’s festivities. Must have been something you had to grow up with. And I don’t think it was just the guys…I think it was either equal girls/guys, or more girls. Me and all my little friends loved this movie beyond compare. I’m a Coke girl, too, but I totally get why you made these with Pepsi. They look delicious (I’m not one to turn down a homemade brownie). I should have qualified to say I was an older child of the 80s. I think I’m older than you, Heather. When I drank soda I was also a coke girl. Never saw the movie though. It has been ages since I drank a real coke. How interesting! Though not a fan of any soda drink, but these brownies look really tempting that I want to give it a try too. Can’t really think of how to healthify these at all, Angie. It would have bee much more fun with the nephews! The 8-year-old’s belly laughs makes anything funnier. I’ve never seen the Goonies. Doubt if I ever will. Saw the Breakfast Club again the other night — hadn’t seen it for decades. Not as good as I remembered it, but still a fun movie. Anyway, I’d definitely try Coke in these — Pepsi is just too sweet, IMO. The Breakfast Club is a classic that will live forever! Me neither. I can’t remember why I even tried a search for it. I didn’t “get it” either – glad I’m not alone! 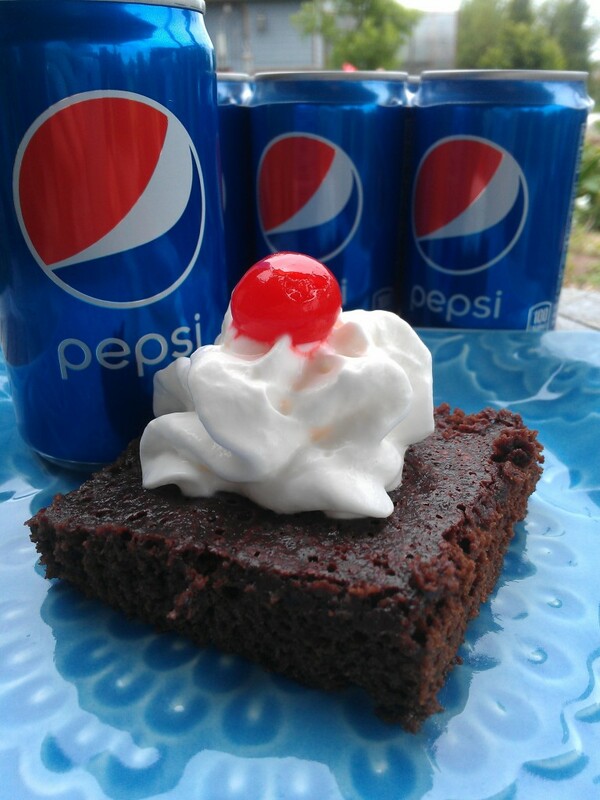 Love the brownies – I;ll have to try these for my husband – he loves brownies…and coke! While it is not a movie that I would sit and watch again I enjoyed it. It was goofy and fun and very 80’s genre. I remember my kids who were tweens and teens in the 80’s watching this numerous times. Love your cupcakes….I noticed the pepsi placement also. I felt the same way abut the movie but wow you really had an on the dot perfect inspiration for your recipe. Would love to try. Watched The Goonies so many times I think both the kids can quote most of it. Daughter was born 81. Son in 90 but he loved it too. Love the brownies.